Left: Armenian Presbyterian Church, Paramus, N.J. Top Right: First Armenian Church, Fresno, CA. Bottom Right: Armenian Presbyterian Church, West New York, N.J. 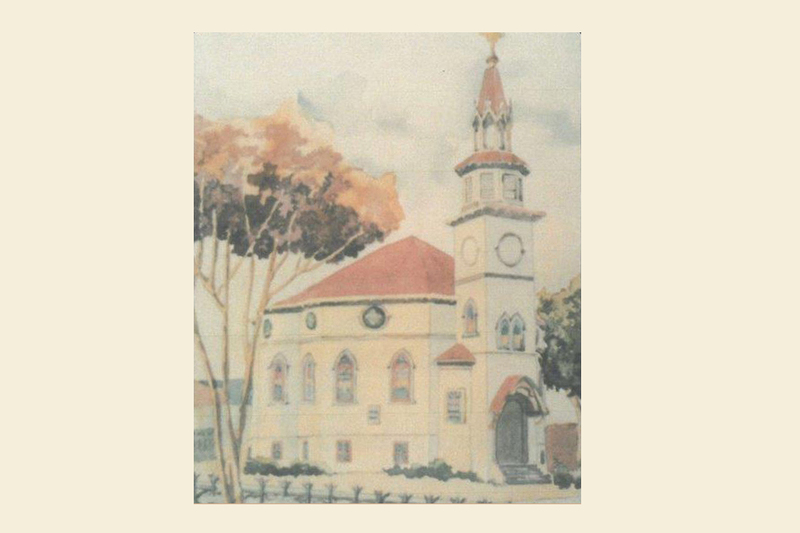 The oldest Armenian church of any denomination in California was organized in 1897 as the First Armenian Presbyterian Church. Its first pastor was a former American missionary to Armenia, Rev. Lysander Burbank, who had served in Bitlis and spoke fluent Armenian. First Armenian Presbyterian Church, Fresno, CA, undated. In 1892, five years before the founding of First Armenian, a women’s organization, later to be called “The Ladies’ Aid,” was organized as “The Armenian Patriotic Ladies Society of Fresno” in order to “support orphans, ministers and evangelists in Armenia.” It is noteworthy that this emphasis on benevolence and mission, with a focus on the increasing destitution of the Armenian people because of massacres and the Armenian Genocide, led to the formation of the Armenian Mission Association of America (AMAA) in 1918. Other Armenian churches were established in central California in the early 1900s, including Kingsburg and Yettem. Yettem, meaning “Eden,” was established on land bought by Rev. Harutune Jenanyan. The Armenian Martyrs Presbyterian Church of Kingsburg was organized in 1916 by its first pastor, Rev. Yeghiazar Rushdoony. (His son, Rev. Rousas Rushdoony, is well-known in conservative religious circles as a key figure in the Christian Reconstruction movement and a proponent of Dominion Theology.) The Bethel Armenian Presbyterian Church in San Francisco was founded in 1935, also by Rev. Yeghiazar Rushdoony, the result of a split in the Calvary Armenian Congregational Church. “Bethel A.P.” separated from the United Presbyterian Church in the U.S.A. in 1966 and continues today as an independent Armenian Evangelical Church. "Our First Eighty-Three Years: Pictorial Album, 1897-1981." BX 9211 .C23702 F64 1981. The anchor church for California’s Armenian Presbyterians has long been the First Armenian Presbyterian Church of Fresno. Led by Pastor and Head of Staff Rev. Gregory Haroutunian, it completed a three-part church building program in the 1970s. Its mission to the Armenian people locally and globally continues unabated to this day. For many years, the church was the center of the presbytery, community, and inter-church ministries, maintaining a key place within the family of churches in Fresno. Several years ago, church leaders moved the congregation out of the Presbyterian Church (U.S.A.), affiliating with the Evangelical Presbyterian Church. In Southern California, no Armenian Presbyterian churches were founded until the turn of the 21st Century. In 2000, Rev. 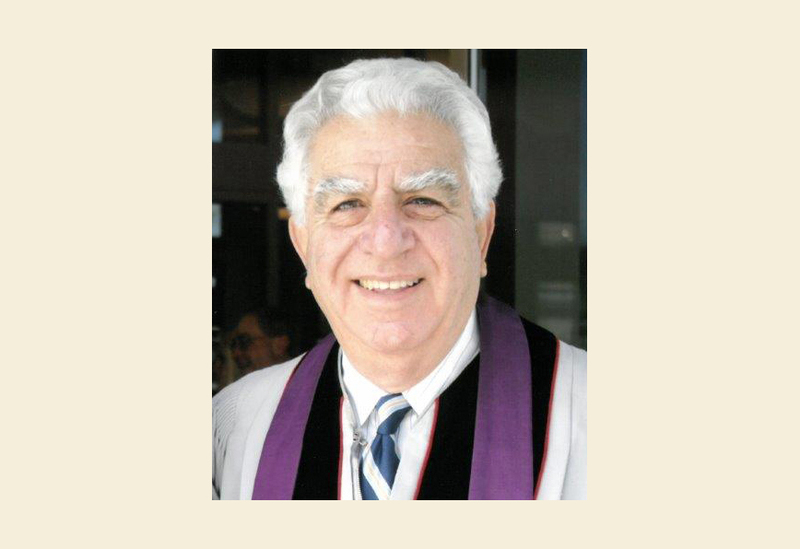 Berdj Djambazian began a mission congregation connected to Glendale Presbyterian Church, where he was associate pastor. That mission, now called the Holy Trinity Armenian Evangelical Church, moved to the facilities of the First Lutheran Church and continues to this day with Rev. Henrik Shanazarian as its pastor. Another mission effort that is now a full-fledged church is the Holy Trinity Armenian Evangelical Church in North Hollywood, with Rev. Ara Chakerian its pastor. The Presbytery of San Fernando granted the church permission to move into the building of the former Trinity Community Presbyterian Church. With the help of the AMAA, the building was bought and is now the church’s permanent home. On the East Coast, the anchor church for Armenian Presbyterians is the Armenian Presbyterian Church of Paramus, NJ. The church was established in West New York, NJ, in 1898. After vacating that location in 1969, the congregation moved to Paramus and experienced significant growth, attracting many new members including the AMAA, which vacated its cramped center in New York City and established a new headquarters in a special wing of the church. The visionaries of that effort were Pastor Bernard Guekguezian and Rev. Dr. Giragos Chopourian, Executive Director of the AMAA. With its worship and mission programs, the Armenian Presbyterian Church of Paramus has maintained a vigorous ministry not only locally, but throughout the world. Rev. B.A. Guekguezian, undated. BX 9211 .N57652 A706 1998. With the departure of the Fresno church from membership in the Presbyterian Church (U.S.A.), the Paramus church remains the only congregation still affiliated with the denomination, excepting the new mission churches in Glendale and North Hollywood. When still in West New York, the Armenian Presbyterian Church carried on regular services and established missions in Patterson and West Hoboken. There was also an Armenian ministry in Syracuse, NY, called the Armenian Presbyterian Church of Syracuse, which gathered in that city’s Fourth Presbyterian Church. In 1906, the Armenian Presbyterian Church of Troy, NY, was established. It survived for a number of years before closing its doors. Beyond congregations and the AMAA, Armenian Presbyterians have a benevolent and humanitarian mission in the Jinishian Memorial Program. Established in 1966 by Mr. Vartan Jinishian in memory of his parents, the program has been active for over fifty years, serving the needs of Armenians throughout the Middle East and Armenia. Its office is now situated in the Karagoezian Building in New York City and is led by its International Director, Eliza Minasyan. Rev. Vartkes M. Kassouni, undated. I have hereby attempted to give you a short overview of Presbyterians of Armenian origin in the United States. Many thanks to my sources, including Rev. 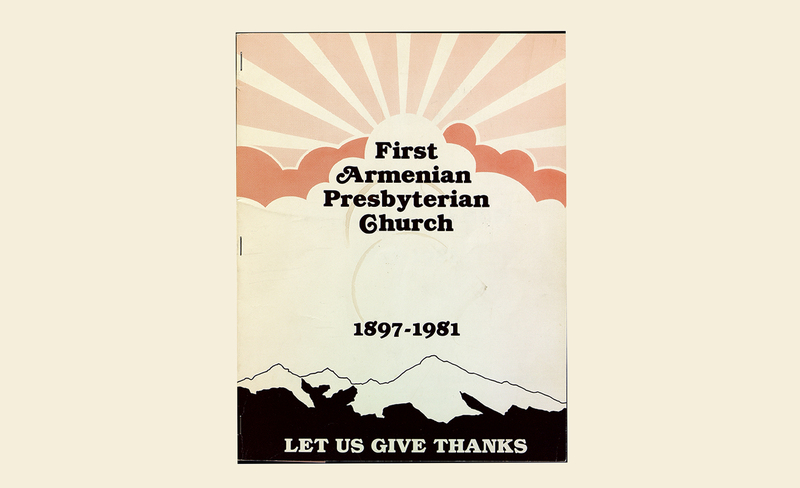 Vahan Tootikian’s book Pioneer Armenian Evangelical Clergymen in America and Their Successors from 1880 to 1950 and the First Armenian Presbyterian Church of Fresno’s Centennial Publication 1897-1997. Rev. Vartkes M. Kassouni lives in Orange, CA. 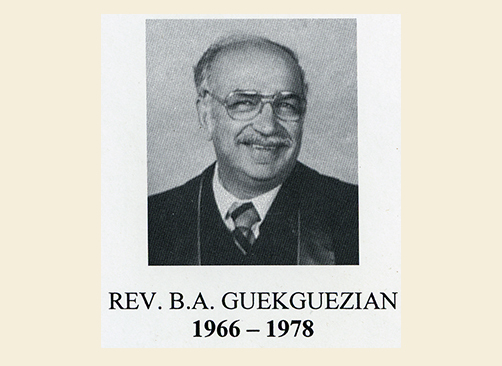 For 13 years (1964-1977) he was the pastor of the First Armenian Presbyterian Church of Fresno, CA.